Yeo Wei Wei (ed.). Realism in Asia, Volume One. Singapore: The National Art Gallery, 2010. 88 pages. A rather curious volume. Realism In Asia Vol 1 is the accompanying publication to the Realism In Asian Art show that ran at the Singapore Art Museum from April to July 2010. The show is put together by The National Art Gallery of Singapore (TNAG) and Korea’s National Museum of Contemporary Art. The show travels to the latter from July to October 2010. There are six essays here that cover Singapore, Malaysia, Thailand, Indonesia, the Philippines, Japan and Korea. Chinese art is reserved for Vol 2. I would much prefer a ‘regular’ catalogue with all the plates of the show and for the essays to be extended. As explained in the opening essay by Kwok Kian Chow (TNAG Director), the preparations for the show started with an international symposium on the subject held in Seoul in September 2007. The conference papers were published in Modern Art Studies 4. Tsutomu Mizusawa’s essay on the problems of ‘realism’ in Japanese modern art history is a revised version of the one he wrote for Modern Art Studies, which is a pity as his is the strongest piece here and I would have liked to read the original longer version. His essay would also be strengthened if we were able to look at the plates of the paintings he talked about. 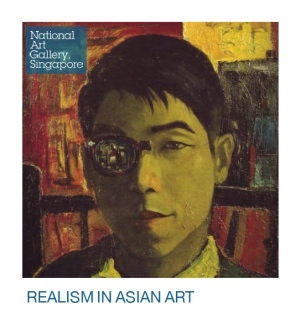 A better publication in this aspect (of a similar ‘realism’ in Asian art show) would be Art Toward the Society: Realism in Korean Art 1945–2005, the catalogue for the exhibition of the same name that traveled between Korea and Japan in 2007 and 2008. That 252-page tome contains all the art pieces exhibited as well as five full-length essays by curators and researchers. Art history is filled with trajectories. The other solid piece here is Kim Youngna’s ‘Cold War Ideology and Realism’, which provides an overview of the intersections between art and politics in Asia. It is well known that the Central Intelligence Agency (CIA) covertly funded some of the Museum of Modern Art’s (MOMA) international exhibitions of American abstract art as part of their cultural mission to counter Soviet communism and the Socialist Realism style the Soviets expounded. The MOMA exhibitions were touted as expressions of freedom and purity, silently positioned in ideological contrast to the supposedly regimental nature of Soviet art. It is a pity that this difference between Social Realism and Socialist Realism in Asian art is not further explored other than a cursory line in Kwok’s essay. One could tie it to other similar realist movements in this region such as ASAS 50’s (Angkatan Sasterawan ’50; Singapore Writers’ Movement ’50) “Art for Society’s Sake” in the early 1950s or the “Art for Life” debate in Thailand during the same period. Where can one get the essays? The book can be found in the NHB museum shops. The NLB libraries would have it too.